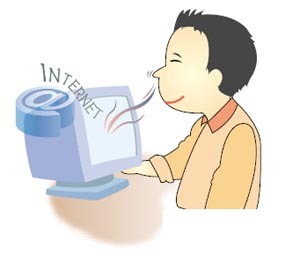 News story says Korean tech experts predict computers will transmit scent through the internet by 2015. This will be very good news for the alt. worship communities and cyberchurches. Maybe even bloggers. Expect my recipes to have accompanying smells. I wonder how others will use it? Coffee smells for emerging church conversations? Old leather for classic book reviews? Sulphur for online gospel tracts? Andrew, you made my day with the last smell. “Sulphur for online gospel tracts!” That is hilarious. Sorry to be a party pooper, but, since I usually have my computer sound turned off I’ll probably have ‘smell’ turned off too. The other people around me don’t particularly care to hear what sounds my computer can make and I expect they’ll feel the same way about how it can smell too! so at last, computer technology catches up to what Maude in the movie *Harold and Maude* did in retro-tech fashion 40+ years ago! Great, I wonder if you can get a scratch and sniff kind. Sigh… still more exchanging of the real for the imaginary. Back around 1990, Dallas, TX was used as a test market for “Smellavision”, a series of prime-time television shows that would display an icon during key scenes that corresponded to the area on a scratch-and-sniff card you were supposed to scratch and sniff (they could be picked up at area convenience stores). Unfortunately, most of the smells weren’t very accurate, and in some cases smelled quite offensive. Needless to say, the results weren’t quite what the producers of “Smellavision” were hoping for and the project went bust. so if I’m watching the movie Labaryinth, do I need to leave the room when the “Bog of Eternal Stench” scene comes on? Obama announces he inhaled frequentlythat was the point. Gotta love that. See it. And what will virus’s and pop ups smell like? I cringe now when a pop up appears and there is someone nearby, can’t imagine the offensive smells. I’m frightened now by the idea of “BLOG of Eternal Stench” and yea verily by viruses and pop-ups. This is great. We can all meet at a virtual pub, smell the smoke, smell the beer and have a good discussion.